The 920 CPU Holder™ provides a secure mounting solution for today's slim form factor units and mini towers. 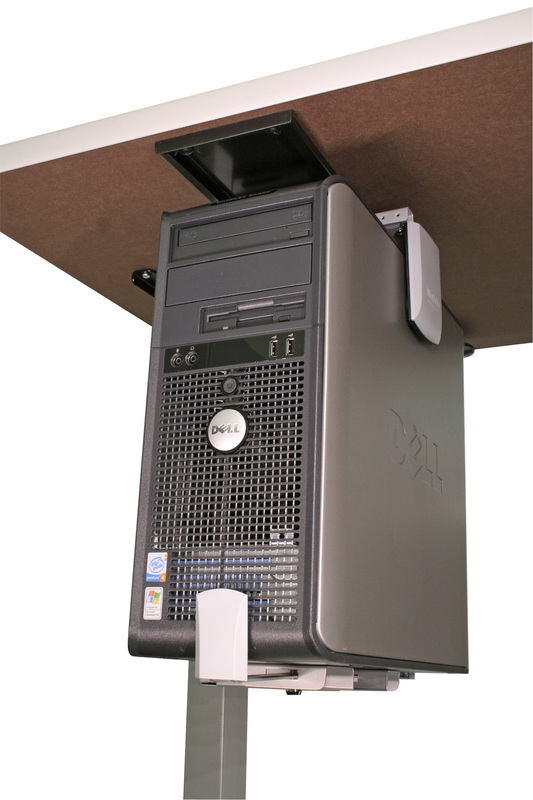 Workrite CPU holders give you easy access to your computer case, whether located on the floor, or attached to your workcenter. Portable laptop station moves your notebook computer into a more comfortable position for typing and viewing the screen. Position your documents in line with your keyboard and monitor for easy reading and less discomfort. Optimal ergonomics calls for proper foot support without pinching at the ankles.